Why DiGi Signal is Terrible Weak when You Are Indoors ? DiGi subscribers, have you ever experienced terrible weak signal especially when you are indoors? It’s even worst during raining. Have you ever think WHY? Before I explain it to you, let me tell you some introduction and basics. Malaysia is having 4 telcos, they are Celcom, DiGi, Maxis and U Mobile, and 3 frequency range are available – GSM 900, GSM 1800 and UMTS 2100. UMTS 2100 is 3G. Out of these 4 telcos, only DiGi is using GSM 1800 while other telcos are using GSM 900. But of course all of them are using UMTS 2100 for 3G services. So, DiGi is the only 1 telco in Malaysia using GSM-1800, and DiGi is also the most complaints about poor or even terrible weak indoors signal. Now, can you related this problem with it’s GSM 1800 ? What is GSM 1800 ? According to wikipedia, GSM-1800 uses 1710–1785 MHz to send information from the mobile station to the base transceiver station (uplink) and 1805–1880 MHz for the other direction (downlink), providing 374 channels (channel numbers 512 to 885). Duplex spacing is 95 MHz. GSM-1800 is also called DCS (Digital Cellular Service) in the United Kingdom, while being called PCS in Hong Kong (not to mix up with GSM-1900 which is commonly called PCS in the rest of the world). Another article from wikipedia — Generally speaking, lower frequencies allow carriers to provide coverage over a larger area, while higher frequencies allow carriers to provide service to more customers in a smaller area. Another not wikipedia articles we found — As the frequency increase its penetration power decreases.The signal travels a lesser distance.Hence for a perticular area more no of towers need to be erected in 1800/1900 than in 900MHZ for full coverage…Hence vodafone( 1800MHZ) has more towers per unit area than Idea Cellular ( 1800+900) ….. Band of 900 is from 890-915( uplink) 935-960Mhz( downlink)…. Band of 1800 is from 1710-1785(uplink) and 1805-1880MHZ(Downlink)…. A long conversation with DiGi 2nd level support team, he told me that, because DiGi is using GSM 1800, so the coverage is wider than GSM 900, that’s why we can see DiGi slogan said they are having the widest coverage, although we all know that DiGi coverage is not as wide as another 2 telcos – Celcom and Maxis. He also said that, the only disadvantage of it is the GSM 1800 penetration is poor, so signal become weaks when indoors. After the conversation, I did a lot of search, all mentioned that GSM 1800 coverage ain’t wider than GSM 900, and also does not tend to propagate better through buildings due to the wavelength is close to the atomic seperation of the atoms making up the brick. So many disadvantages of GSM 1800, why DiGi loves GSM 1800 ? No idea, may be due to GSM 1800 is capable of faster data speeds, and also able to provide service to more customers in a smaller area. Now, do you have any idea why DiGi signal is terrible poor indoors ? This entry was posted in Communication and tagged 3g, DiGi, GSM 1800, Indoors Converage, Poor Coverage on September 18, 2011 by RMvalues. Few days ago which was 13th September, Microsoft has announced and released the Windows 8 pre-beta version for developers. Metro style — Windows 8 introduces a new Metro style interface built for touch, which shows information important to you, embodies simplicity and gives you control. The Metro style UI is equally at home with a mouse and keyboard as well. 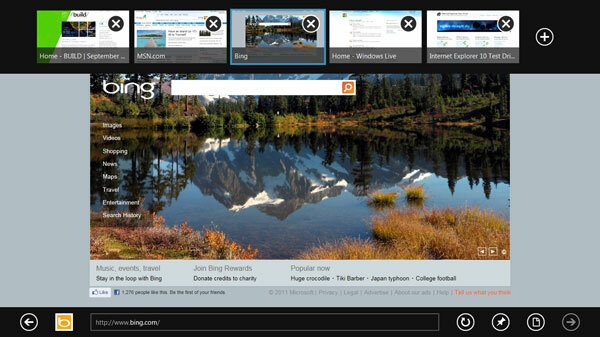 Touch-first browsing, not just browsing on a touch device — Providing a fast and fluid touch-browsing experience, Internet Explorer 10 puts sites at the center on new Windows 8 devices. Powered by apps — Metro style apps built for Windows 8 are the focal point of your experience, filling your entire screen so there are no distractions. 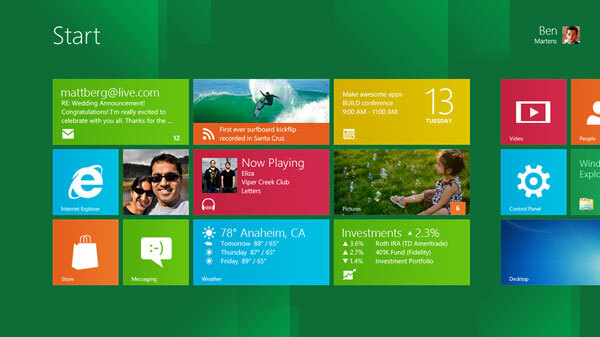 Apps can work together — Apps communicate with each other in Windows 8. For example, you can easily select and email photos from different places, such as Facebook, Flickr or on your hard drive. Your experience syncs across your devices — Live roams all the content from the cloud services you use most — photos, email, calendar and contacts — keeping them up-to-date on your devices. With SkyDrive, you can access your files, photos and documents from virtually anywhere with any browser or with Metro style apps in Windows 8. The best of Windows 7, only better — Windows 8 is built on the rock-solid foundation of Windows 7, delivering improvements in performance, security, privacy and system reliability. Windows 8 reduces the memory footprint needed — even on the lowest-end hardware — leaving more room for your apps. Preserving power-user favorites and making them better — For those who push the limits of their PC, Windows 8 features an enhanced Task Manager and Windows Explorer and new, flexible options for multimonitor setups. Windows Store — The Windows Store will allow developers to sell their apps anywhere Windows is sold worldwide, whether they’re creating new games or familiar productivity tools. Build using more languages — Windows 8 lets you leverage your existing skills and code assets to create great experiences using the programming language you prefer. Rich hardware integration leads to richer experiences — particularly for games — DirectX 11 gaming power underlies Windows 8, allowing the easy creation of full-screen games with smooth, flicker-free action. One Windows — many shapes and sizes — Support for ARM-based chipsets, x86 (as well as x32 and x64) devices, touch and sensors means Windows 8 works beautifully across a spectrum of devices, from 10-inch tablets and laptops to all-in-ones with 27-inch high-definition screens. Always connected — With Windows 8, new ultrathin PCs and tablets turn on instantly, run all day on a single charge and stay connected to the Internet so your PC is ready when you are. Next-generation system on a chip (SoC) support will also enable greatly extended standby and low-power states. Tap the full power of your PC — Windows 8 runs on PCs and is compatible with the devices and programs you use today on Windows 7, without compromise, to deliver the performance you expect of a PC. Attracted by the above features ? Willing to give it a try ? After installing the Windows Developer Preview, you can’t uninstall it. To reinstall your previous operating system, you must have restore or installation media. Also, you cannot upgrade the Windows Developer Preview from previous version of your windows, regardless Windows 7 or Windows Vista, you can install this Windows Developer Preview only via Clean Install. Once you have tried, please do not hesitate to share your experience with us. 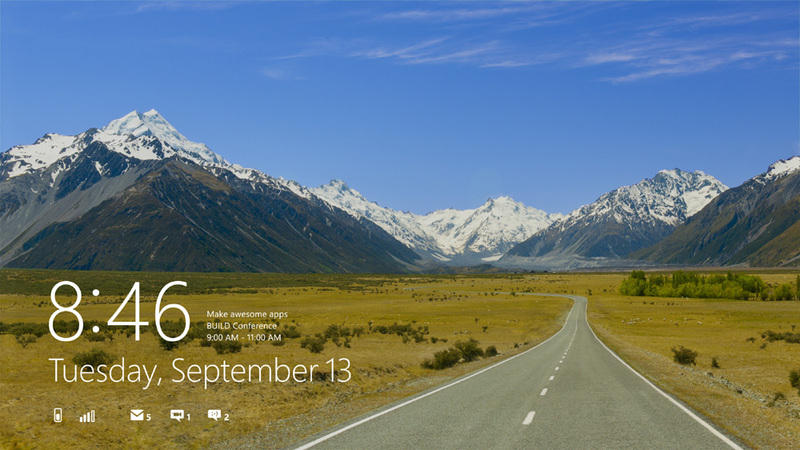 This entry was posted in Computer and tagged Metro style, pre-beta version, Windows 8, Windows Developer Preview, Windows Store on September 17, 2011 by RMvalues. You still remember our Malaysia National Day Giveaway – Windows 7 Ultimate OEM (worth RM 650+) ? Who is the lucky winner of Windows 7 Ultimate OEM (worth RM 650+) ? You will be contacted via email regarding the shipping arrangement for your Free Windows 7 Ultimate OEM. Thank you for your valuable support to us. We hope you are enjoy here. This entry was posted in Free Stuff and tagged contest, Free Software, Giveaway, Malaysia National Day, Windows 7 Ultimate on September 16, 2011 by RMvalues.